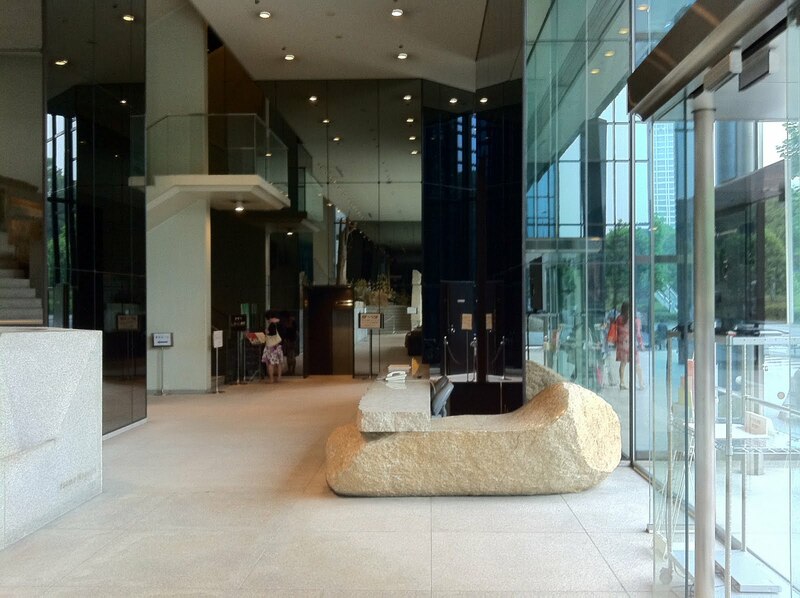 Entrance and reception desk designed by Isamu Noguchi. Overlooking the entrance lobby from the 2nd floor (image copyright nova68.com). 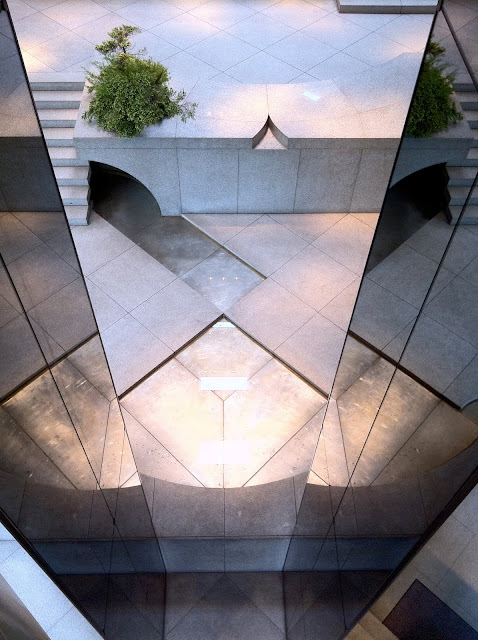 Sogetsu Foundation with architecture by Kenzo Tange and Art Installation by Isamu Noguchi (image copyright nova68.com). 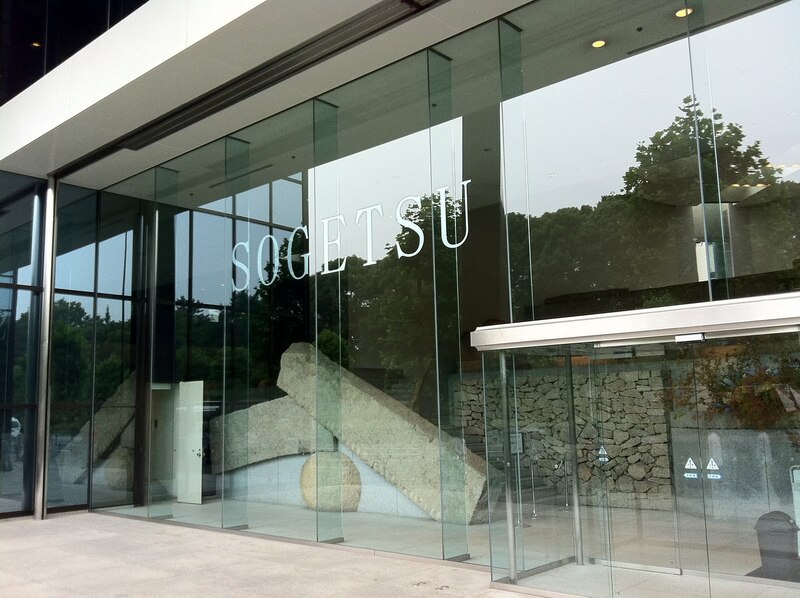 Main entrance of the Sogetsu Foundation (image copyright nova68.com). 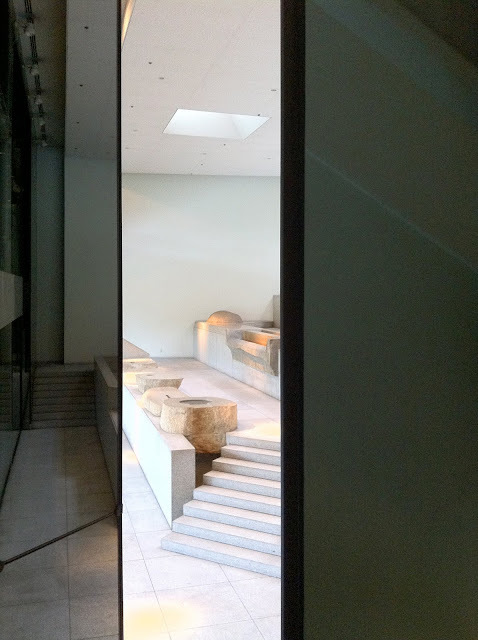 There is an entrance to heaven after all. 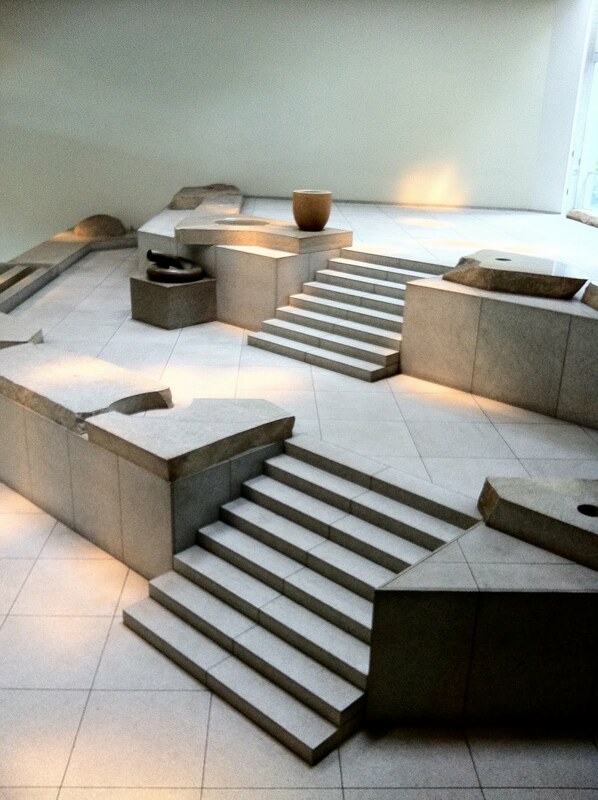 One of the lesser known but most impressive complete interior installations by Isamu Noguchi is located at the lower level of the Segetsu Foundation skyscraper in Tokyo. The dark smokey mirror glass building was designed by the Japanese architect Kenzo Tange. The Isamu Noguchi installation takes up some serious prime space (it takes up the entire open space of both ground- and first floor). 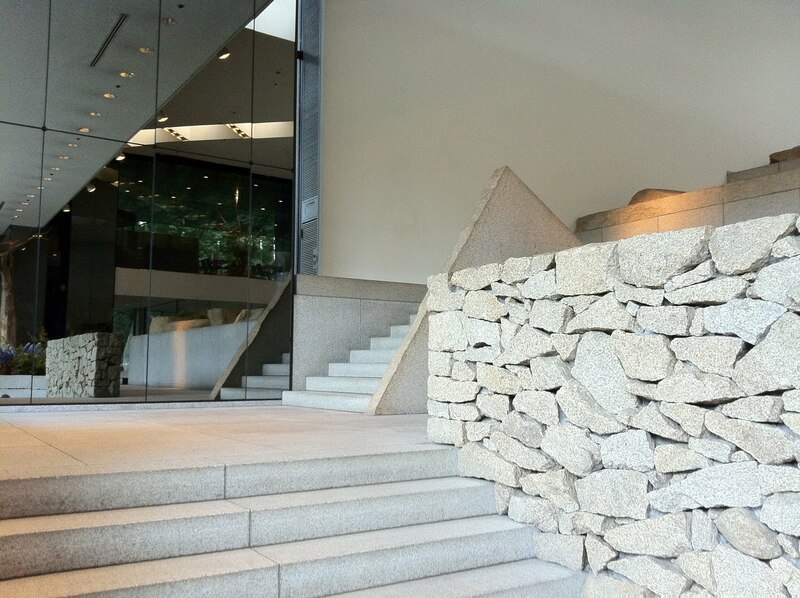 We had a unique chance to visit this foundation which usually only allows members and does not allow photography. 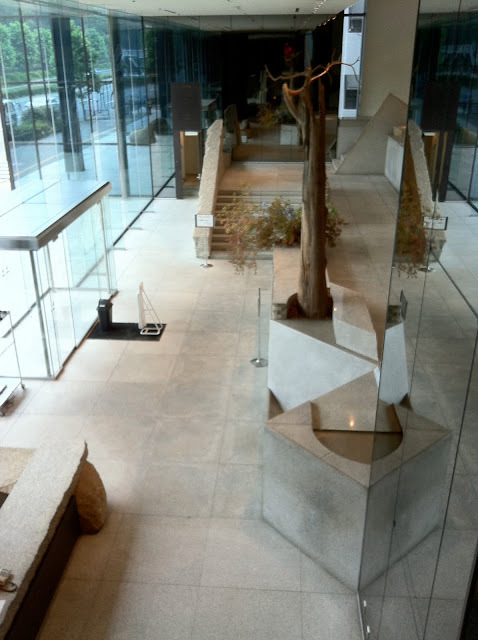 Due to the energy crisis the water feature was not working at the time we visited (all fountains in Tokyo have been turned off ever since the events of March 2011). 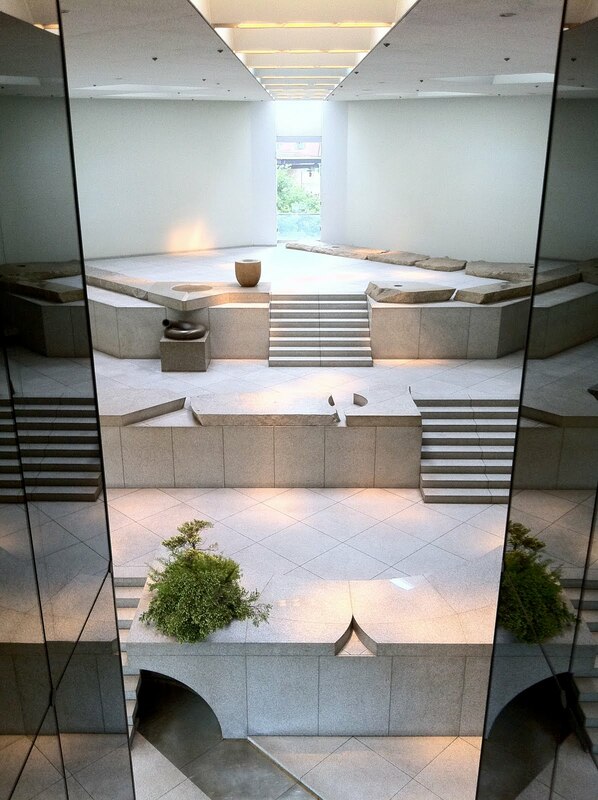 Isamu Noguchi "Heaven" installation at the Sogetsu Foundation (image copyright nova68.com). 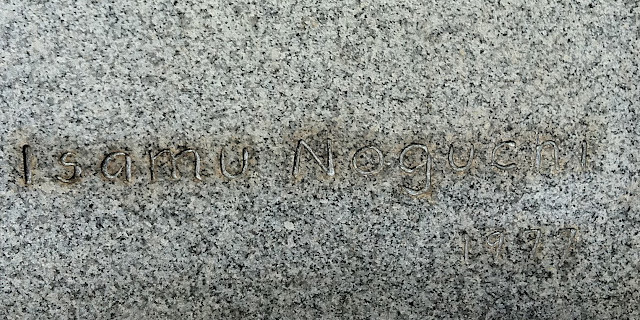 Signed Isamu Noguchi 1977 (image copyright nova68.com). How the Sogetsu Foundation amassed its massive fortune to build their mirror glass skyscraper in the middle of Tokyo + hire both Kenzo Tange as the architect + Isamu Noguchi for the final creative touch is not exactly clear to us. 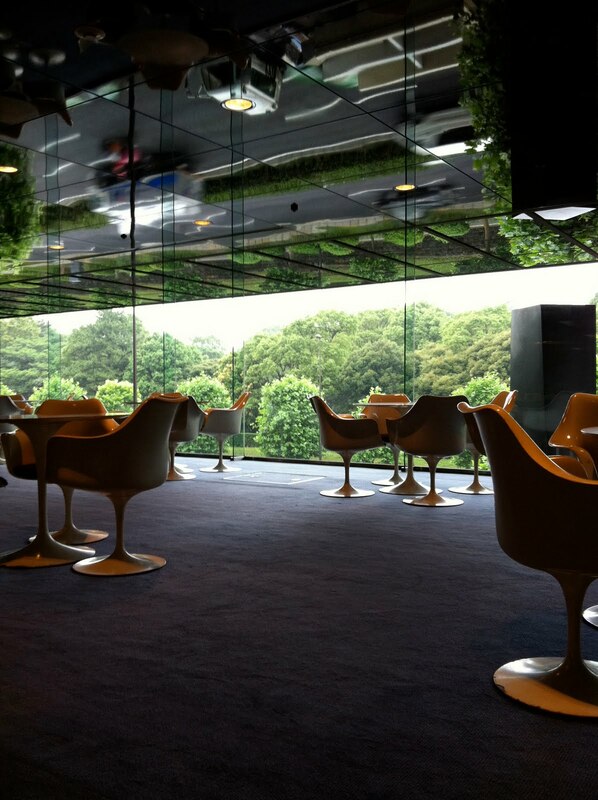 The foundation website states they promote the art of Ikebana (flower arrangements). This building was constructed in 1977-1978, the years leading up to the boom years of Japan. Both the installation by Isamu Noguchi and the architecuture of Kenzo Tange already display subtle hints of the 1980s. Kenzo Tange created a meeting place / overlook over the Isamu Noguchi installation on the 3rd floor. 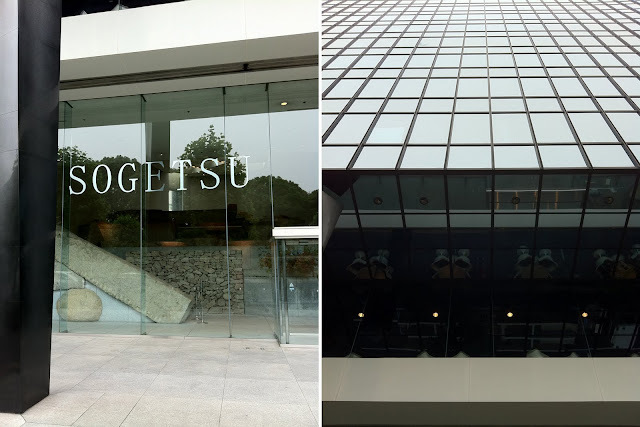 Members of the Sogetsu Foundation can order drinks from the restaurant located just below. The overlook level is outfitted with Eero Saarinen Tulip chairs and tables (all show signs of wear but luckily the foundation has not removed them). 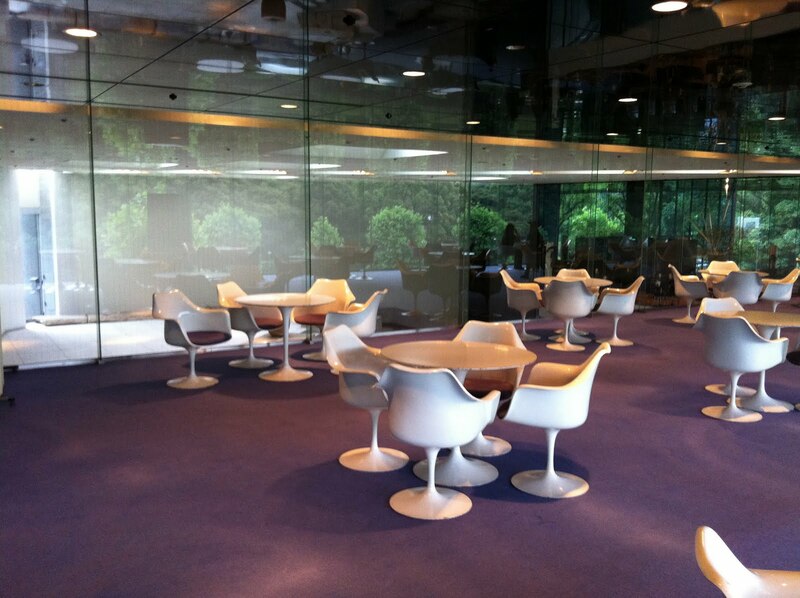 Eero Saarinen Tulip Chairs and Tables at the Sogetsu Foundation (image copyright nova68.com). 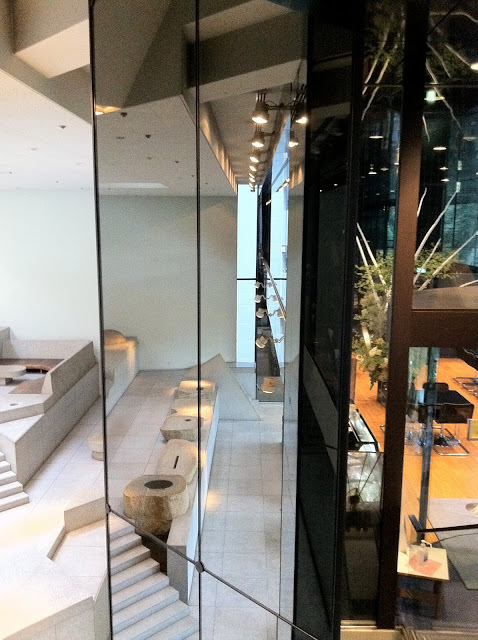 Note the mirror glass ceiling which reflects the traffic of three stories below (image copyright nova68.com). 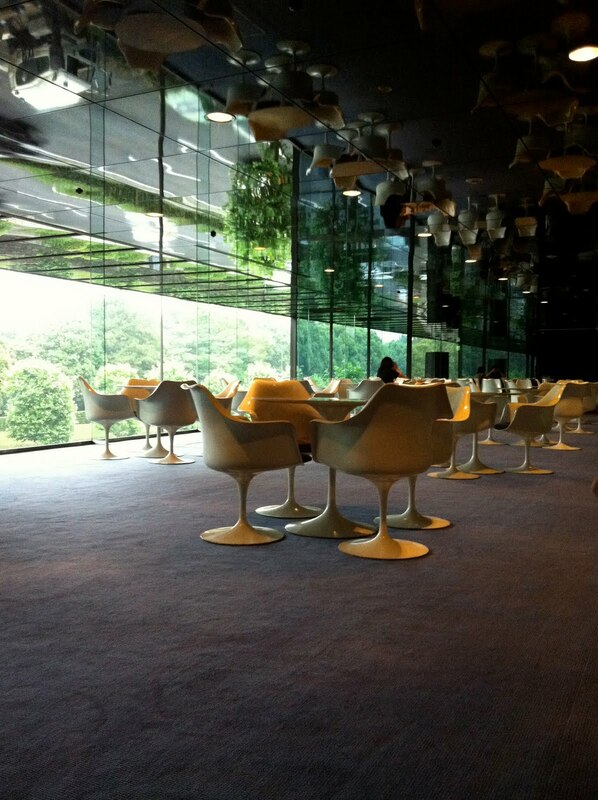 Watching time go by at the Kenzo Tange designed Sogetsu Foundation.